Drawing fascinating connections between cultural history and film authorship, Blossoms and Blood charts the development of Paul Thomas Anderson, whose films, such as Boogie Nights, Magnolia, and There Will Be Blood, offer a prescient approach to the contradictions of our all-consuming, postmodern media environment. From his film festival debut Hard Eight to ambitious studio epics Boogie Nights , Magnolia , and There Will Be Blood , Paul Thomas Anderson’s unique cinematic vision focuses on postmodern excess and media culture. In Blossoms and Blood , Jason Sperb studies the filmmaker’s evolving aesthetic and its historical context to argue that Anderson’s films create new, often ambivalent, narratives of American identity in a media-saturated world. Blossoms and Blood explores Anderson’s films in relation to the aesthetic and economic shifts within the film industry and to America’s changing social and political sensibilities since the mid-1990s. Sperb provides an auteur study with important implications for film history, media studies, cultural studies, and gender studies. He charts major themes in Anderson’s work, such as stardom, self-reflexivity, and masculinity and shows how they are indicative of trends in late twentieth-century American culture. 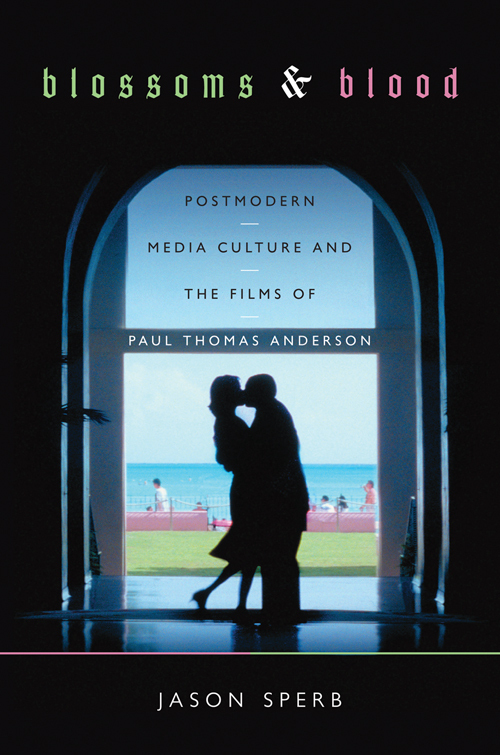 One of the first books to focus on Anderson’s work, Blossoms and Blood reveals the development of an under-studied filmmaker attuned to the contradictions of a postmodern media culture.